Surfing in Los Angeles often gets a bad rap—and sometimes for good reason, with all the crowds and pollution and celebrities on longboards (though we do have a few favorite surf movies). But those who know surfing know that our city is a cradle of surf culture, a place steeped in history and bound by tradition: From the points of Topanga and Malibu to the beaches of the South Bay, LA is where surf culture initially exploded, leaving in its wake a legacy that can still be found today. Part of this legacy is the neighborhood surf shop. 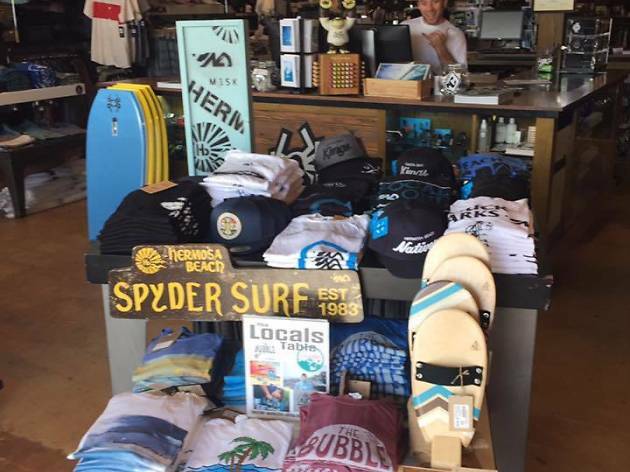 Our favorite surf shops have seen fashion trends come and go, competitors rise and fall and surfing morph from a niche sport into a corporate-fueled, multibillion-dollar lifestyle industry with markets in nearly every shore-hugging country in the western world and beyond. 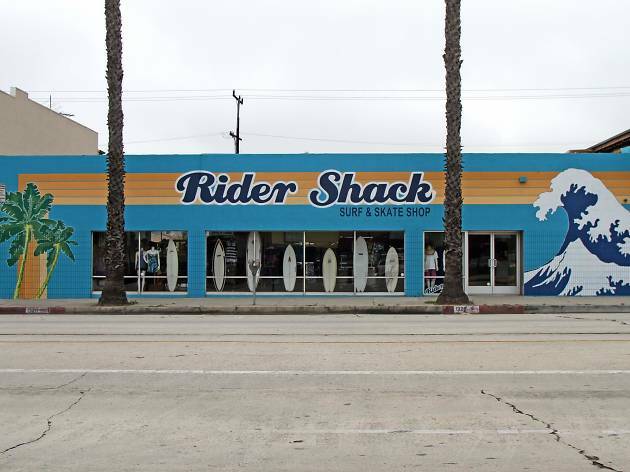 And amidst this exportation of Southern California surf culture, our beloved surf shops are still here, creating stoke for a new generation of surfers, just as they did when they first opened their doors. Just north of E.T. 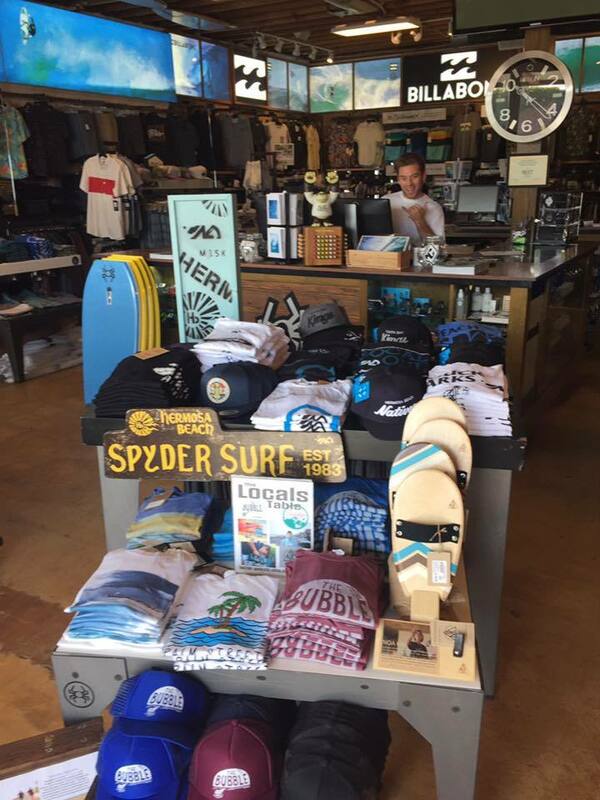 Surf on Pacific Coast Highway sits Spyder Surf, a South Bay institution opened by shaper and former pro surfer Dennis Jarvis who, as it happens, spent two months teaching the cast of Point Break how to surf off 30th Street in Hermosa Beach. Today, Spyder Surfboards are the standard issue board of choice for many local surfers, including the legions of groms hitting the South Bay beaches before school each winter morning. Jarvis is a local who has reached folk hero status for his commitment to keeping the South Bay’s surf legacy alive and well. Spyder Surf Fest, an annual day-long surf, skate and snow extravaganza featuring live music, a surf contest and product giveaways, is held each year at Pier Plaza. Even if you’ve never picked up a surfboard, chances are you’ve heard of Mollusk. This San Francisco import hopes to get Venice Beach-bound wave riders stoked, and often pulls double duty as both a surf shop and art gallery, with works from local artists. 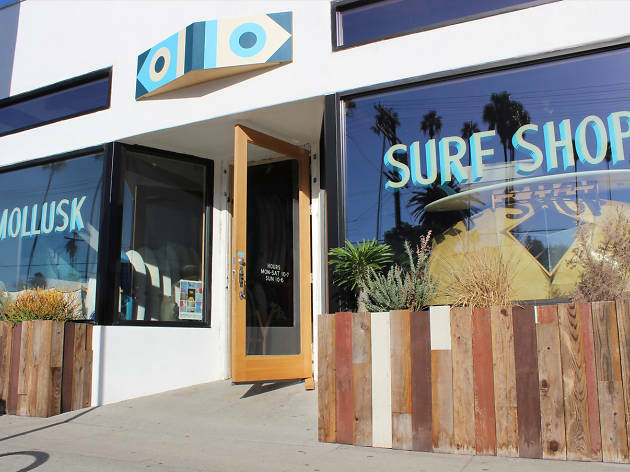 The shop has a retro vibe and attracts a loyal following for its commitment to feature not only the latest in retro surf gear and modern beach fashion, but also handmade local goods. Surf aficionados and pros alike can drool over the custom boards, artist-designed tees, hard-to-find wet suits and other beach gear like handmade backpacks and sandals. Looking for a few pointers? Grab a copy of one of the many surf mags or films for sale. When traffic is a grind and the sun is scorching, the Valley can seem a long way from the beach. 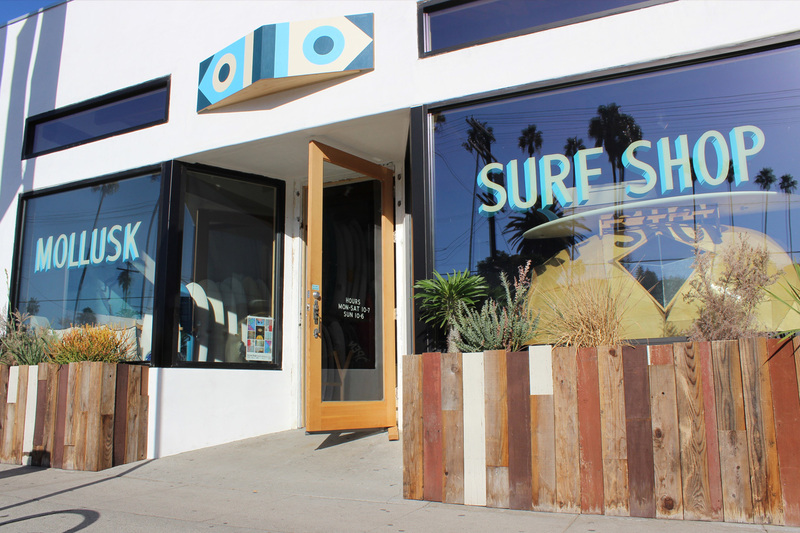 Still, there's a thriving surf culture here, and Val Surf in Valley Village is a pioneering surf and skate mecca, and a testament to this culture. The first Val Surf opened in North Hollywood in 1962, and today there are four locations—Valley Village, Woodland Hills, Thousand Oaks and Valencia. 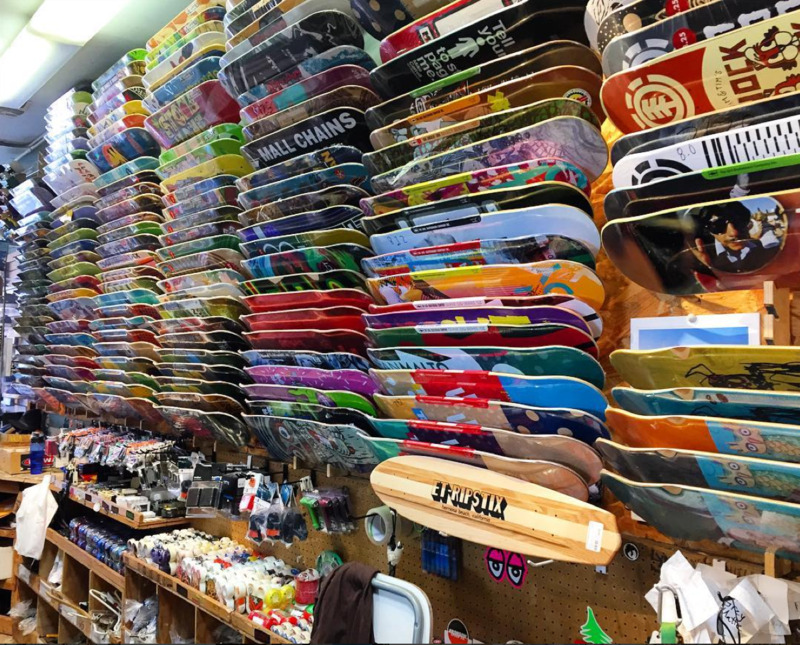 Family-owned, the shop is known for innovation in and out of the water—it started the first mail order service in the surf/skate industry and sponsored Willy Morris, the first surfer from the San Fernando Valley to compete on the pro surf tour. 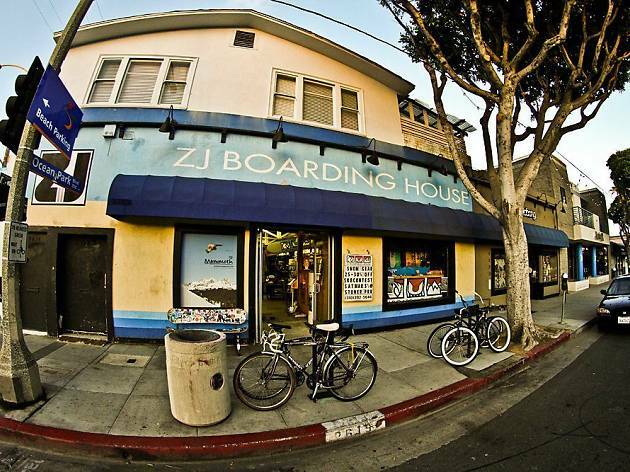 With longboards hanging from the rafters, ZJ Boarding House has been a favorite of Venice and SaMo locals since it first opened its doors in 1988. Parking is tough in this part of town, but if you’re lucky you can snag a coveted spot in the small lot behind the shop. 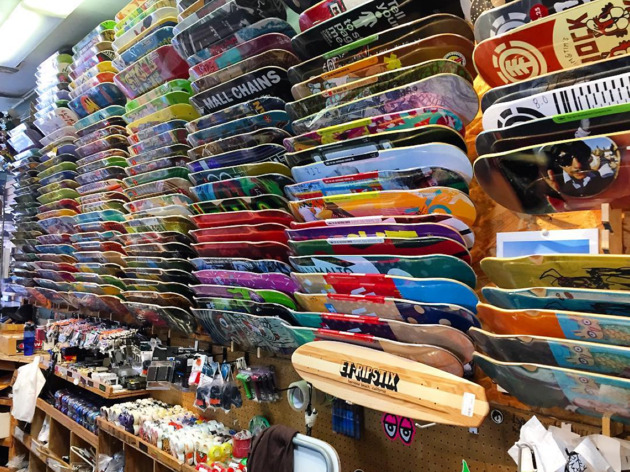 ZJ Boarding House offers an impressive selection of surfboards, skateboards and snowboard gear. Their surfboard rentals are popular here for all those out-of-towners flocking to the Westside and looking to impress their friends back home with the surfing skills they picked up in LA. 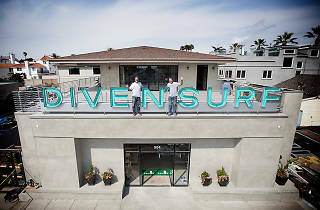 Dive N Surf, another South Bay watersports landmark, has been around for six decades and is considered one of the region’s premier dive facilities. 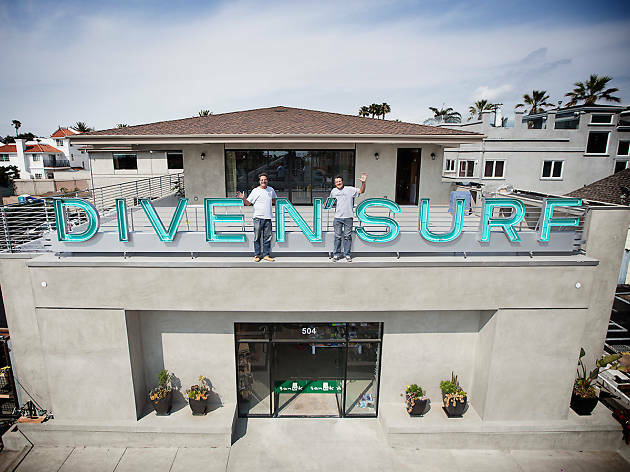 Dive N Surf was first co-owned by diver Bev Morgan and legendary South Bay shaper Hap Jacobs before being sold to brothers Bill and Bob Meistrell, midwest transplants who graduated from El Segundo High School and were two of the first LA County lifeguards. The Meistrell brothers would go on to found Body Glove and become wetsuit pioneers. Today their legacy lives on in and out of the water—the modern wetsuits they had a hand developing hang proudly in the store, lined by a large selection of surf apparel, surf gear and dive equipment. 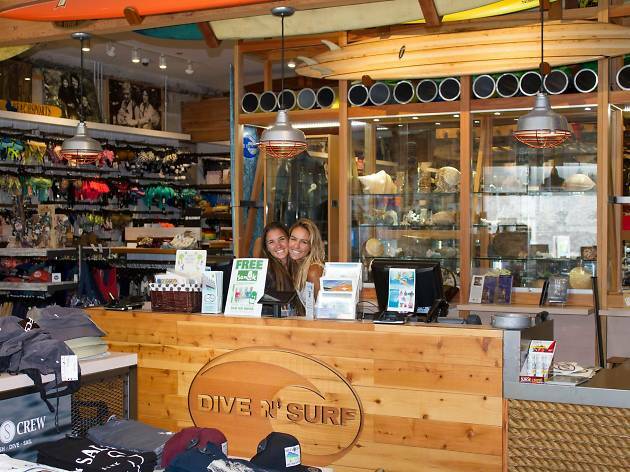 Their selection of surfboards is smaller compared to nearby competitors, but Dive N Surf makes up for it in the amount of dive gear they carry. They also offer SCUBA courses and are famous for their annual yard sale, a typically month-long event held in late winter with deeply discounted items for sale. Becker holds the unique distinction of being an institution in both LA and Orange counties. 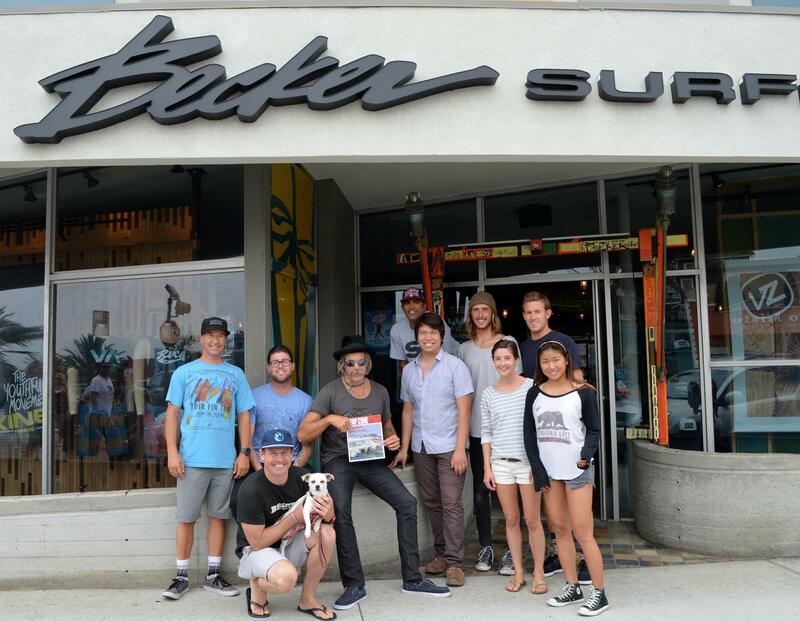 The first Becker Surfboards outlet was opened by shaper Phil Becker in 1980 in Hermosa Beach, quickly growing in both size and reputation. 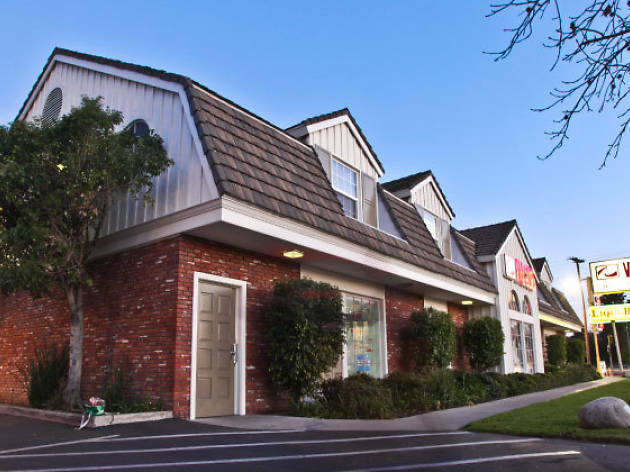 Since then, the Becker empire has expanded north to Malibu and south to Mission Viejo. In 2010, Becker Surf was acquired by Billabong. Becker is popular with the longboarder set for their vast selection of boards. There's not much to say about Rider Shack’s history; compared to its contemporaries on this list, Rider Shack is relatively new. 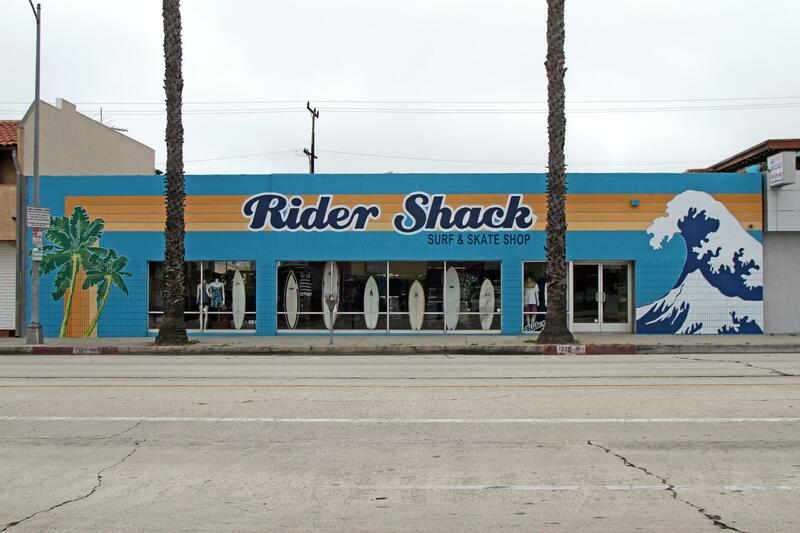 Opened in 2006, Rider Shack is a neighborhood surf shop at its core, located in between Marina Del Rey and Culver City. This place is a favored spot and a local hangout for Venice and Santa Monica surfers. 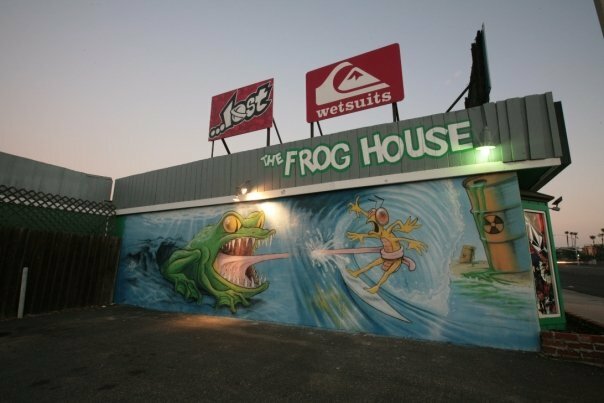 With its bright green walls, the Frog House has been a landmark beckoning to surfers since 1962. 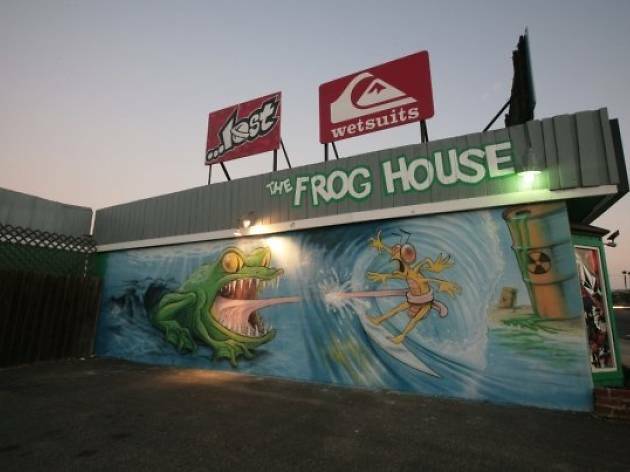 Frog House may be well south of LA city limits, but it still deserves a mention on our list. In many ways, Frog House is like E.T. Surf—a down-to-earth throwback to a bygone era when lineups were less crowded. Frog House is constantly packed with inventory, and the scent of neoprene and surf wax drift through rows of surfboards. 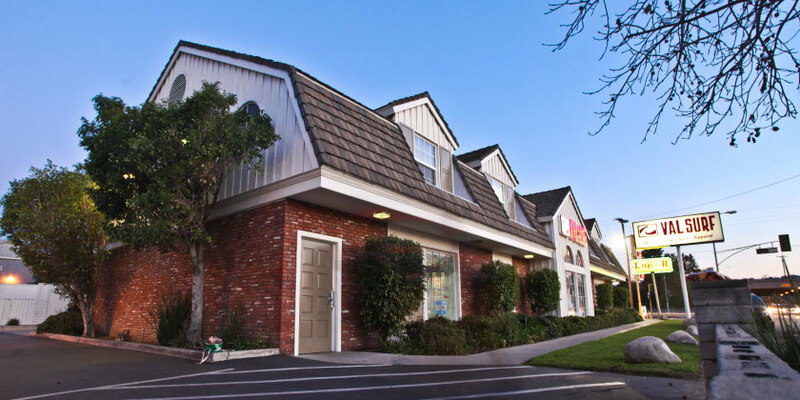 Independently run since its founding, the green shop on PCH is a beloved icon in Orange County.